Willowcreek did an interesting job a few weeks ago, landscaping for a movie set. A new TV series, called “Yellowstone,” featuring Kevin Costner is filming in Utah, with movie sets near Coalville and Gainesville. 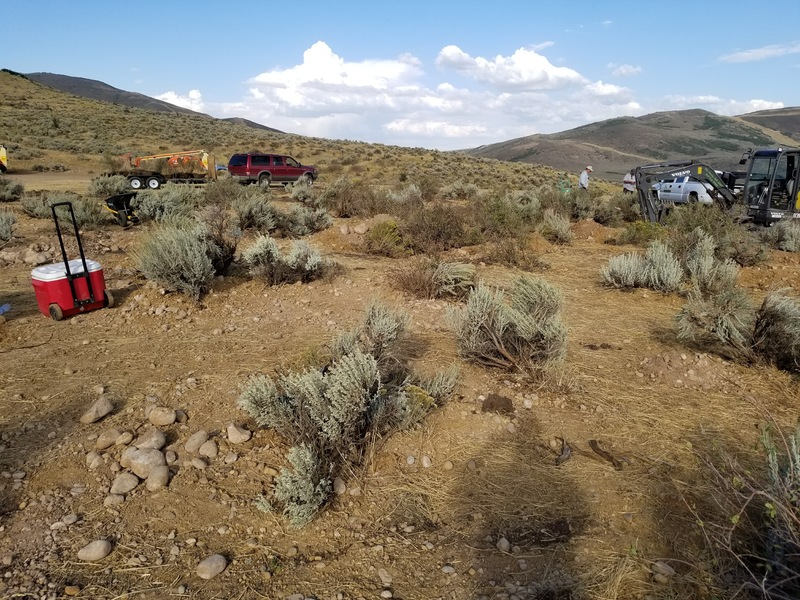 One of the sets was a cleared plateau, of about 1 acre. The art director for the film wanted the plateau to appear natural, with vegetation to match the surrounding area. They didn’t have time to grow the vegetation, since they were scheduled to shoot in only a few weeks, so they called Willowcreek Tree Farms! 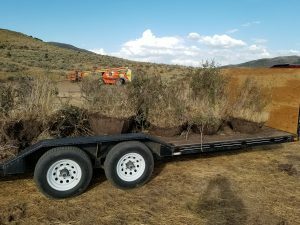 We brought out our spade and excavator and spent two days doing something ironic… Rather than clear sagebrush and bitterweed to make way for a groomed and manicured landscape, we moved live sagebrush and weeds in from a nearby hillside! The end result: We successfully de-developed the entire plateau, tying it in with the surrounding vegetation. We got some pictures of the work in progress, but not the final product, so to see how the plateau turned out, you’ll just have to see the show! Laura Clark has contributed 14 entries to our website, so far. View entries by Laura Clark.